I was pleased to see this morning that my hometown newspaper, the Fort Worth Star-Telegram, is taking note of the city’s emerging, eclectic bicycling culture. The main story on the newspaper’s Life & Arts cover was about the Night Riders, a group of fun-loving cyclists who ride Wednesday and Sunday evenings after gathering at the Chat Room pub on Fort Worth’s Near South Side. What I like about the Night Riders, whom I’ve ridden with quite a few times, is that they’re not at all like some of the macho types that I’ve encountered in many years of bicycle riding: those who are interested mostly in speed, the latest high-tech gear, shaving a gram or two off the bike’s rolling weight, the rate of caloric burn, etc. Some of that stuff gets pretty boring around a table or a campsite at the end of the day on a multiday ride. 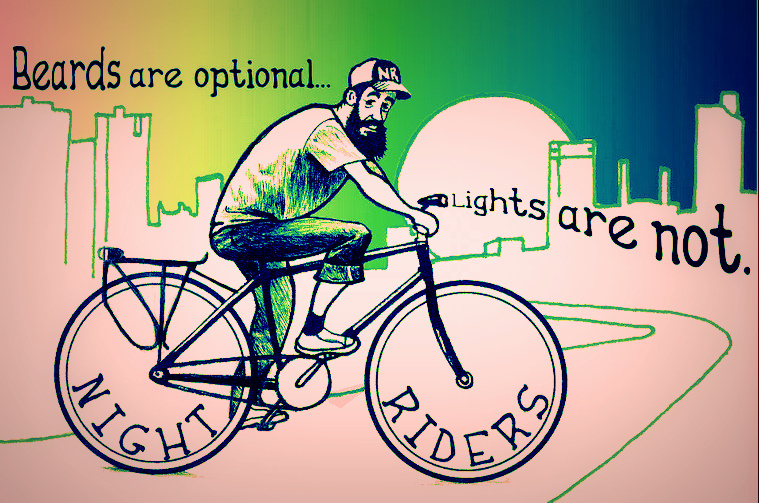 No, the Night Riders are simply into having fun on bikes. And some of their rigs – cargo bikes, heavy beach cruisers, bikes put together from discarded frames and components found at swap meets – might be anathema to roadies who favor sleek carbon-fiber frames, color-coordinated spandex livery, heart monitors and $200 helmets. Some of the Night Riders, much to my chagrin, don’t even wear helmets. The Wednesday night rides are usually briskly paced excursions through neighborhood streets and along the city’s fine network of bicycle trails. The Sunday night rides are essentially pub crawls, with a couple stops at local bars. The rule is “one and done” – no more than one beer at each stop. 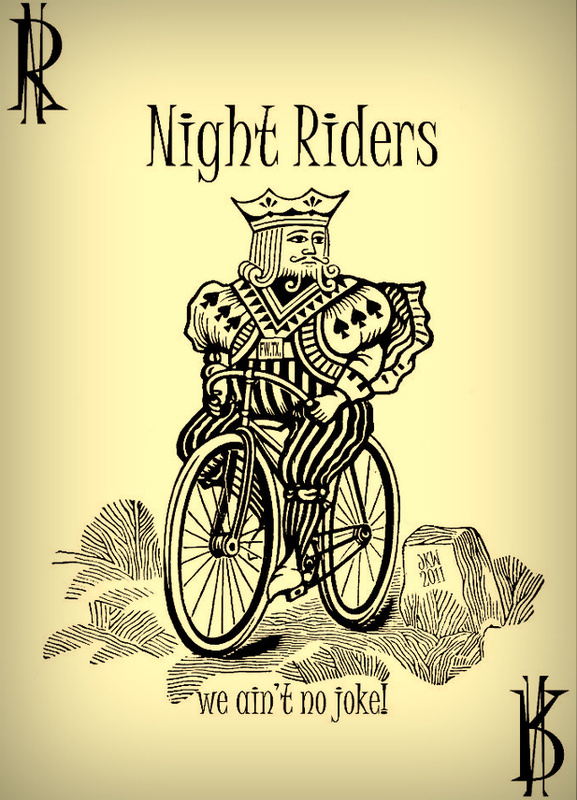 The Night Riders are also ambassadors for the local cycling community. They try to obey all traffic laws, wave to passing motorists and the people they see in neighborhoods and encourage anyone who asks what they’re up to to get on a bike and give it a try. The Star-Telegram article, by Eric Griffey, noted that in 2008 Bicycling magazine called the Dallas-Fort Worth are one of the worst places in the nation to ride a bike, citing such impediments to cycling as heavy traffic and lack of institutional support. The Night Riders have been hugely instrumental in making that happen. Although I am living in the bicycle heaven known as China, I do have fond memories of all the bike riding I’ve done in the DFW area known as Plano. When I was younger we had a night riding crew and would head to White rock lake or Garland from Plano. Much easier to get around late at night without so many cars. Thank you for bringing those memories back with this article.